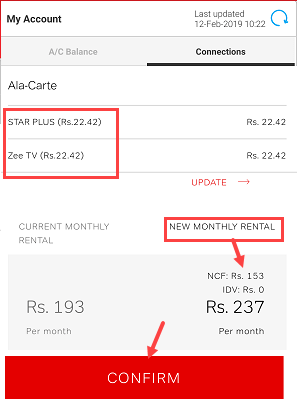 The main benefit of new TRAI rules for DTH is that you can pay only for those channels which you want to watch and remove those channels from your pack which you don’t watch. 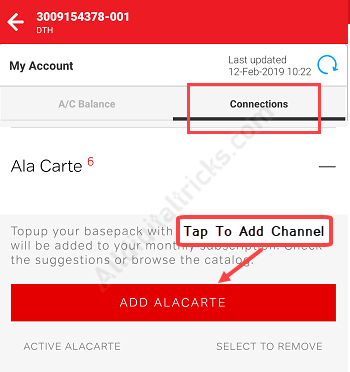 Here we will guide you on how to Add or remove channels in Airtel DTH pack. You can add a single channel in your current pack by selecting the Ala-carte option. 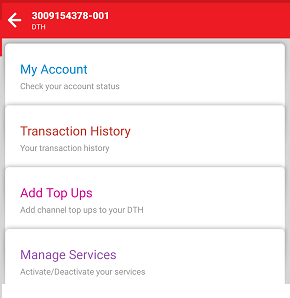 You can manage your Airtel DTH account directly from the mobile phone using My Airtel App. Just add your DTH account on My Airtel. 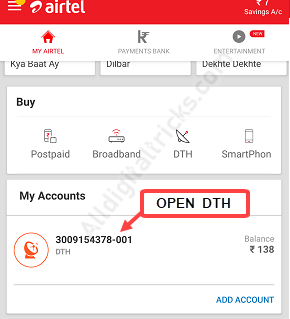 Open My Airtel App and open DTH account section. Next screen, tap and open My Account. And now select Connections, and in Ala-Carte tap on Add ALACARTE as you can see below screen. Now select the channel which you want to add in your pack. You can select multiple channels. After selecting your channels, tap on Review & Buy. And finally, confirm your request. You can see the total monthly price of your pack. Click on confirm. Done! your newly added channels will be active within 2-3 minutes and you can watch those channels. 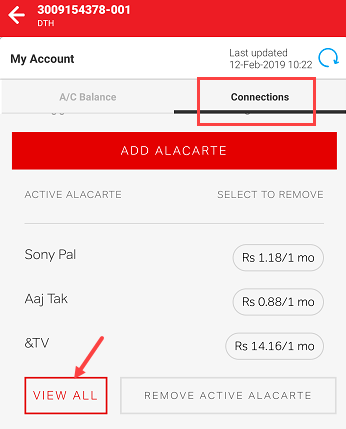 If you have decided to remove some channels from your Airtel DTH then you can also remove them from My Airtel App. 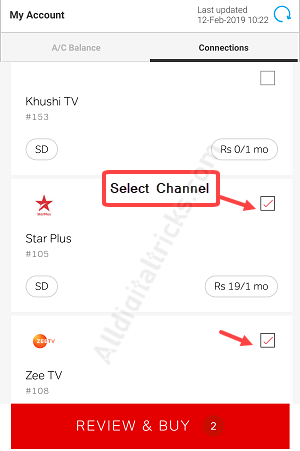 You can remove those unwanted channels which you don’t watch and reduce your monthly pack price. Open My Airtel App and visit DTH section. Now tap on Connections and in Ala-Carte, you can see your Ala-carte channels list. Tap on View All. Now select those channels which you want to remove from your Pack & tap on Remove selected. Done! selected channels will be removed from your DTH pack and deactivate instantly. 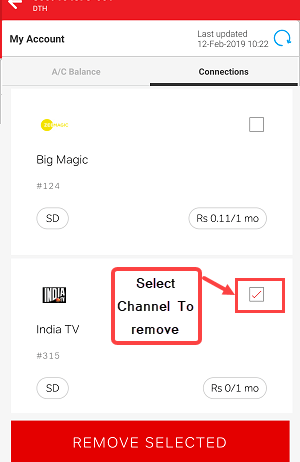 So this is how to add/remove channel in your Airtel DTH pack. You can select the Ala-carte option if you want to add/remove a single channel from your pack.